Young people, technology and inclusive growth were the key themes of the World Economic Forum on ASEAN 2017 , which brought together over 700 leaders from 40 countries. After three days of sessions, here are some of the key moments from the meeting. “ASEAN will play a key role in maintaining stability in Asia”, Philippine President Rodrigo Duterte told participants in Phnom Penh , adding that the region is an “emerging economic powerhouse”. Duterte also acknowledged that leaders in the economic bloc “recognize that more needs to be done for our people,” while also facing up to challenges like integration, connectivity and technological change. This will be done, however, “according to our needs, at our own pace and guided by our core values,” he said. “ASEAN's future must be driven by entrepreneurs,” said Tony Fernandes. The AirAsia CEO, one of the region's most high-profile businessmen, also said that technology will be the enabler for anyone with an entrepreneurial spirit. 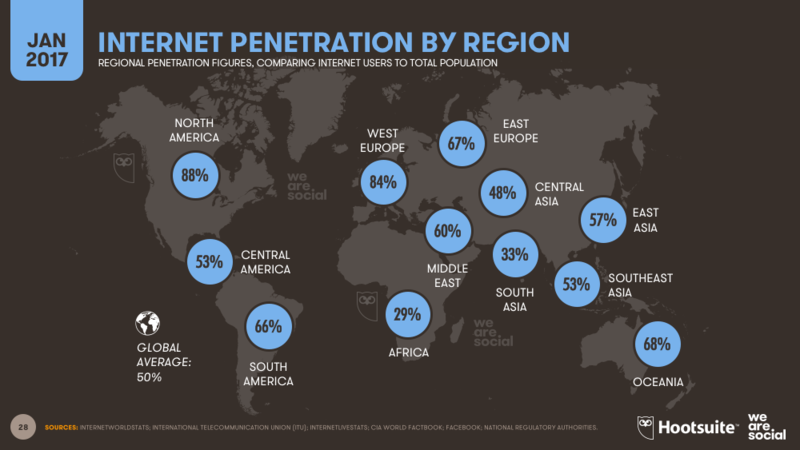 With over half the region’s population aged under 30, ASEAN is bubbling over with potential. How can the dreams of these people be realized, before it’s too late? In the session, The ASEAN Dream , leaders shared their vision for a fairer, more prosperous future. “My dream is for ASEAN is to become an inclusive society where all people in the region can enjoy freedom and security with respect to their human rights.” Nu was a political prisoner for seven years under the military government in Myanmar, and emerged to serve as a national – and international – voice for Myanmar’s human rights and democracy movement. How hopeful are young ASEANs? How do young people living in the region feel about their future career prospects? The ASEAN Youth Survey of 24,000 people, most aged between 16-22, was launched to find out. The results were launched in a session here in Phnom Penh . 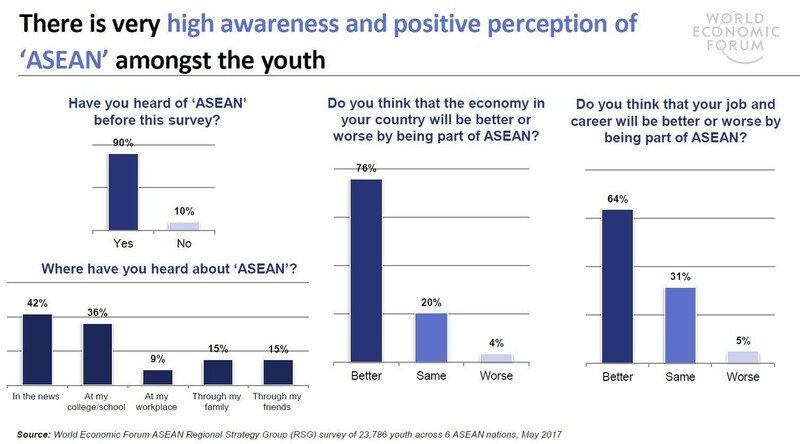 Among the main findings was the positive news that young people in ASEAN are overwhelmingly optimistic about belonging to the ASEAN region. And, asked about their own prospects, the majority of respondents said they feel that remaining part of the bloc will be good for their career. Speaking of young people, what would they do if they were in charge? How would ASEAN’s up-and-coming leaders run the region differently from the current head honchos? That was the question put to panellists in this session . Miguel Syjuco, a Professor at New York University Abu Dhabi, said young people are often treated like a minority, but this shouldn’t cause them to lose hope. Leaders trying to figure out the modern world, he said, is like watching your grandmother trying to use a computer. Eventually they'll say they don't understand, and then give up. Meanwhile, Geena Rocero, Founder of Gender Proud, explained that while there is hunger among young people to participate, for many - particularly in the LGBT community - the opportunity is not there. Speaking in our co-chairs press conference , Wolfgang Jamann, Secretary-General and CEO of CARE International, warned that the region risks missing out on the benefits of technological change if it fails to encourage more women into work, academia and other sectors. The US, Europe, China, India and Japan all have giant technology sectors. Can ASEAN join the club? Yes, said Tan Hooi Ling, co-founder of mobility firm Grab and one of our meeting co-chairs. She pointed out that the ASEAN region has been able to “leapfrog” straight to mobile technology. “How many of us have landlines for our phones?” she asked. Businesses need to constantly reinvent themselves, and “learn to change,” she added. There will always be tailwinds, you just need to figure out how to turn a challenge into an opportunity.